In many ways, mobile phones have allowed people in Africa to overcome the limits of state bureaucracy (de Bruijn and van Dijk, 2012: 12). To further credit the versatile potential of mobile communication, and the need for it, these limits have recently started closing in on mobile phone use in Uganda with two particularly contentious issues. Firstly, an embargo has been issued on SIM card registration to ensure the validity of existing data following a spate of unresolved kidnappings. Secondly, President Museveni has proposed a tax on social media use in order to address the deficit. WhatsApp, Facebook, Skype, Twitter and Viber are all targets for the proposed daily fee of 100ush for all simcards using such “over the top” platforms. According to the President, social media is used only for ‘olugambo’ or ‘gossip’. He has exempted internet use for educational purposes, as “[i]t is like going to the library using the encyclopedia or referring to the dictionary. These must remain free”. I’m told that even the news of this proposed taxation reached 15,000 people in 10 minutes; “if anything seems to be relevant and effecting the lives of people directly, the messages tend to go very fast”. WhatsApp groups also appear to be commonly used to share information about health. As one interviewee told me, he is part of a group with friends who are Doctors and teachers, “any information one of them gets, I get it here”. Or another, who recently found out the nutritional content of beetroot and bananas through his WhatsApp group and has started eating more of them. Or the hospital staff, who have a forum on WhatsApp for sharing information about patients and medical supplies, supporting health workers to do their jobs efficiently. As one message about the benefits of lemon peel circulated on WhatsApp recently stated, “thank goodness for Social Media…Pls forward to lots of friends”. Photo (CC BY) Charlotte Hawkins. 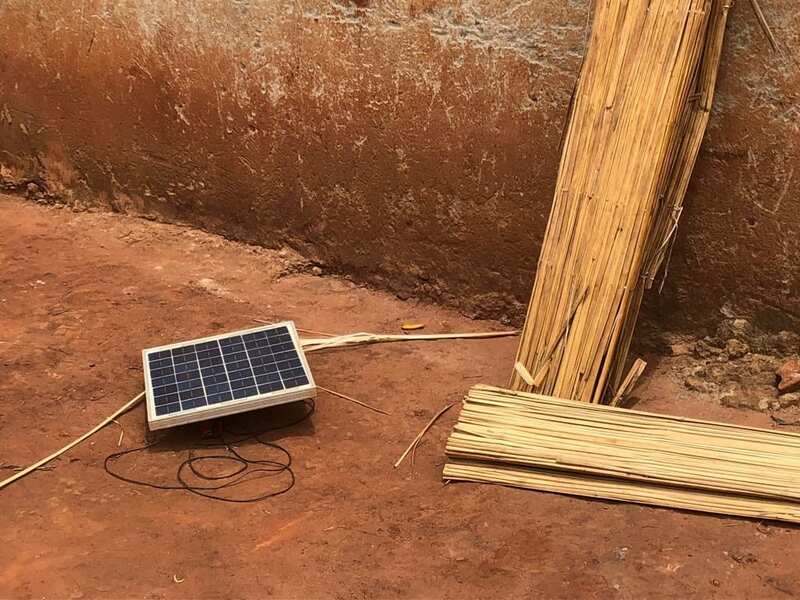 Tthis solar panel is used solely to charge the household’s phones, suggesting that access to communication is a priority. de Bruijn, M., van Dijk, R., 2012. Introduction, in: de Bruijn, M., van Dijk, R. (Eds. ), The Social Life of Connectivity in Africa. Palgrave Macmillan, New York.